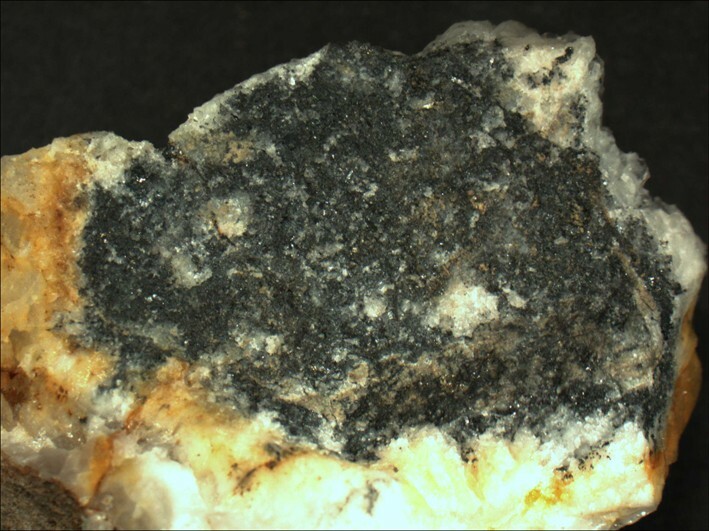 Silvery to black (tarnished) Mckinstryite from a split open vein in matrix from Mogollon, Catron co. New Mexico, USA. Field of view: 3 cm. Specimen and photo: Knut Eldjarn.